Exquisite! A feeling of wealth poured from the Oglebay Mansion Museum in Wheeling, West Virginia. In 1900, Earl Oglebay, Cleveland industrialist and Wheeling financier, purchased Waddington Farm to use it for experimental ideas such as crop rotation and soil improvement. He worked hard to develop quality of life for rural farmers and supported development of 4-H clubs. His methods were considered outlandish at the time, but soon opened the eyes of many in the world of agriculture. After his death, he left Waddington Farm to the people of Wheeling and today it is Oglebay Park. Everywhere you looked, you saw high quality, beautiful antiques in their home. 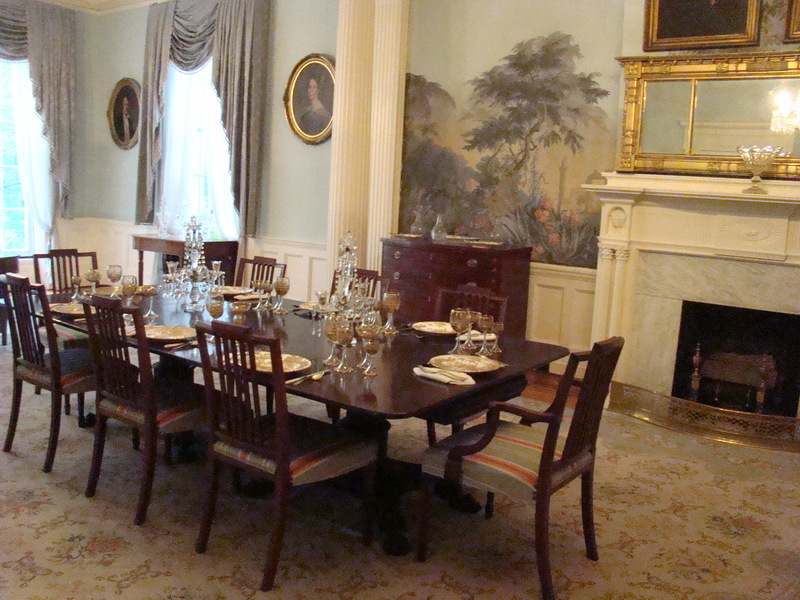 When you visit, there are recordings to tell you about the furnishings, paintings, and life of the family in each room. But the Museum has more in store for you than just beautiful furnishings and paintings, as they have gone to great lengths to provide a history of the area as well. The Pioneering Spirit Exhibition features the history of Wheeling, plus stores and rooms of the early 1900s. Wymer General Store and Sinclair Pharmacy are two of the highlights. 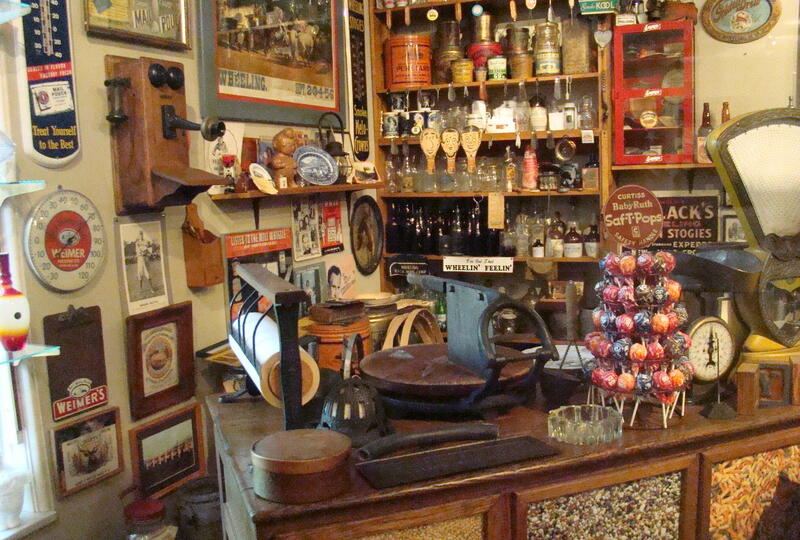 Especially enjoyed the General Store as my grandfather had a very similar one. It was a step back in time to see the old candy case, roll of meat wrapping paper, scales, and all the things that created a one stop place to shop many years ago. 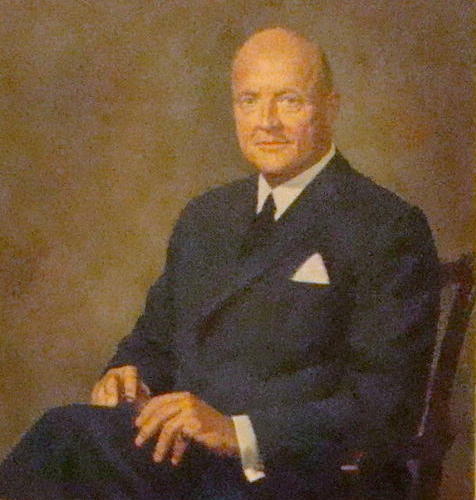 Earl Oglebay’s only grandson, Courtney Burton, was much in evidence in several large oil paintings scattered throughout the house. Courtney always enjoyed horses, even as a child. The story was told that he even brought one to the bedroom in the mansion, after riding around what is today Oglebay Park. As he grew up, his love for horses made him a champion polo player and a master of foxhounds. Downstairs there is a changing exhibit, which at this time was In Their Wake: Wheeling and the Steamboat Revolution. 2011 is the bicentennial anniversary of the first successful steamboat, New Orleans, that traveled down the Ohio and Mississippi Rivers to New Orleans with passage costing $30. The exhibit displayed the many changes that occurred in Wheeling manufacturing and the influx of travelers and new residents into the city. Wheeling is listed as the birthplace in 1816 of the American steamboat, The George Washington, which set the pattern for future steamboats. Also on display were pictures of the original Wheeling Suspension Bridge built in 1847. At that time it was 1,010′ from tower to tower and the longest suspension bridge in the world. What a beautiful mansion in the rolling mountains of West Virginia! Imagine spending a quiet evening in the favorite room of the Oglebays surrounded by the treasures of yesteryear. 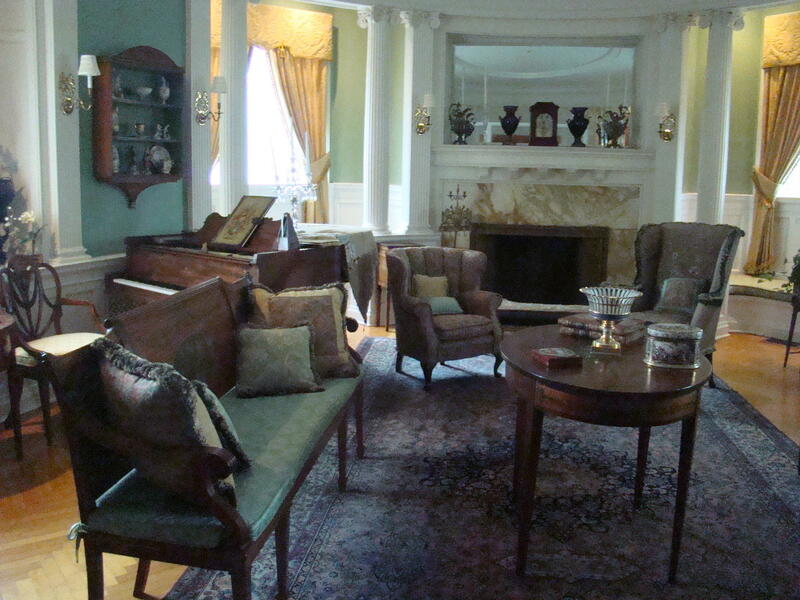 Musical activities were a popular relaxation and many of the rooms contained a piano, organ, or record player. What an elegant place to spend the evening. What a wonderful life! Oglebay Mansion Museum is part of the Oglebay Institute in Wheeling, West Virginia. Located just off I-70 at Exit 2A, follow posted signs to Oglebay Park. Continue on Lodge Drive up the mountain side to the Mansion, which is open most days from 9-5.
buenas noches. i love your blog Waddington Farm Becomes Oglebay Park GypsyRoadTrip and will certainly insert a link to https://gypsyroadtrip.wordpress.com/2011/09/22/waddington-farm-becomes-oglebay-park/ on my site. Great job on this article! I am impressed with your presentation of thoughts and writing skills. I will most definitely make a link to https://gypsyroadtrip.wordpress.com/2011/09/22/waddington-farm-becomes-oglebay-park/ on my site. I’m so impressed with how well you have gathered and put together this article. It’s well formatted and written. Quality work like this is a rarity. I appreciate the information and I agree with you. I will most definitely do a link to https://gypsyroadtrip.wordpress.com/2011/09/22/waddington-farm-becomes-oglebay-park/ on my site. Very informative and wonderful bodily structure of subject matter, now that’s user friendly (:. I am extremely |impressed with your writing talents as well as with the format of Waddington Farm Becomes Oglebay Park GypsyRoadTrip.. Is this a paid theme or did you change it yourself? Either way keep up the excellent quality writing, it’s rare to see a nice weblog like this one nowadays.